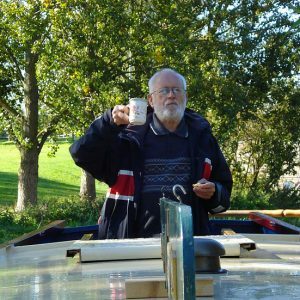 The Circus Field Basin provides the Aylesbury Canal Society with some of the best inland waterway moorings in the country and we expect to attract more members and boats. The Society here in Aylesbury has long been recognised as one of the most welcoming places for visiting boaters and we are continuing this tradition with up to 2 weeks free secure moorings for visiting boats at Circus Field. 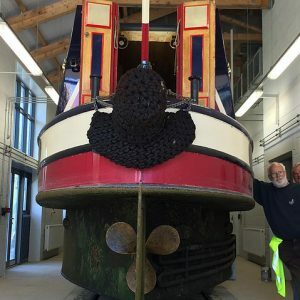 Why not turn off the main line at Marsworth and enjoy a leisurely trip down the Aylesbury Arm to the Aylesbury Canal Society’s new home at Circus Field Basin where a warm welcome awaits you! Opened on the 17th August 2013 this purpose built canal basin at Circus Field has a slipway for full size narrowboats, a wet dock and a small slipway for trail boats/narrowboats and an extensive clubhouse complex which is available for hire. 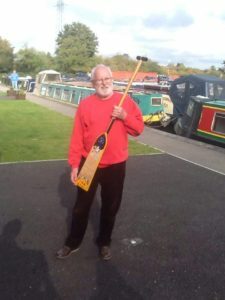 The new facilities building and club headquarters was formally handed over to Society Chairman Bryan Barnes on 12 September 2014 by Peter Hubbard of the builders, Lodge Park Construction Limited and marked the culmination of a long and complex process triggered by the Aylesbury Waterside development. It opened a new and exciting chapter in the Society’s history and we continue to promote the use of the Arm and to welcome visiting boats. Boaters wishing to stay a few days should see our ‘WELCOME BOAT’ for assistance. Short-term moorings are generally possible for boats ‘weekending’ around the country. There is no need to have a boat to enjoy the Aylesbury Arm. Why not enjoy a quiet walk along the tow-path and escape the noise of the town for a few minutes, you will be surprised by how much peace and tranquility there is hidden a few minutes away from the centre of Aylesbury. 2016 Aylesbury Canal Society. All Rights Reserved.